85% of new players recommend this casino 9 new players chose this casino today! PartyCasino offers you a great all around online casino experience, an incredible number of video slots and free apps to play your favorite casino games from iPhone, iPad and Android. Part of the bwin.party Digital Entertainment group, this casino is one of the most popular and secure on the market. Read our review to discover how play with the highest bonus available today! 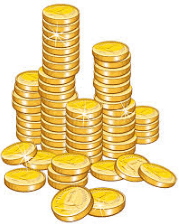 When it comes to online casino bonuses, they come in all shapes and sizes. Some are better fitting for big players looking to play as high as possible, while others target casual players looking to have some fun. The partycasino bonus belongs to the latter category, but that doesn't make it any less attractive. A Massive Deposit Match Bonus! At PartyCasino you can claim up to a whopping €500 in cash as soon as you make a first deposit thanks an incredible 100% match bonus! All you need to do to claim this exclusive new offer is create an account through here and drop at minimum amount €10 onto your account. Even if you deposit the bare minimum, your bankroll will double to €20 that you can choose to spend on any games of your choosing. In addition to doubling your bankroll, PartyCasino sweetens the deal by throwing in an extra 120 FREE SPINS once you make your first deposit! The Free Spins for Starburst! In total, there are a 120 free spins up for grabs available for the incredible video slot, Starburst, by casino gaming leaders NetEnt. All bonuses and free spins come with a 30x wagering requirement and as soon as you meet it and all other terms and conditions all your wins are available to cash out immediately. You can find more information on deposit and withdrawal methods in the next section. PartyCasino is one of the very few online casino rooms that uses software that is developed in-house rather than one of the usual platforms created by Playtech or Microgaming. This custom-built casino software gives you the opportunity to enjoy a unique gaming experience and allows you to access a great range of games that (thankfully) are not copies of the ones you have probably already played at other online casinos. 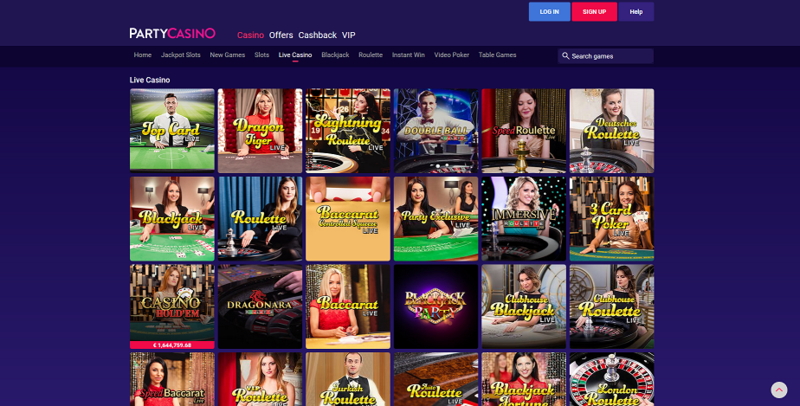 PartyCasino comes complete with a full-featured, no-download casino; and this means that you always get immediate access to 350+ top class games right from your browser. There is no need to install anything on your computer. This may sound irrelevant to those who use Windows, but it comes as a great news for those other ones (like me) who prefer to spend their time on a Mac or on a Linux-powered machine as PartyCasino is fully compatible with these operating systems. Although PartyCasino offers all the traditional casino games (roulette, blackjack, pontoon, punto banco etc), the room is mostly known for its fun live casino suite with real dealers, its great online slots and its multi-million progressive jackpots. Titles such as Juicy Monsters, Aztec Gold, Knight Rider and Dragon’s Hoard are among the most popular ones, with thousands of players every day. The casino room claims also to offer "some of the biggest progressive jackpots online," and says that its players have won over $95 million dollars during the last five years. 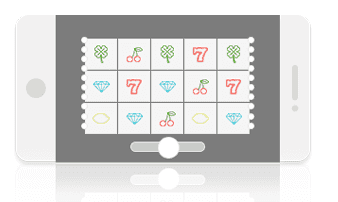 If you like progressive jackpots, have a look at games like Melon Madness, Loot’EnKhamun and Mega Fortune Wheel. PartyCasino's mobile apps give you access to blackjack, roulette, video poker, slot machines and all the progressive jackpots available on the in-browser “official” version. The app to play partycaPartyCasinoino on iPhone is considered to be a very lucky one, since during 2014 it gave away prizes totalling more than 2.5 million dollars! Restricted Countries: Afghanistan, American Samoa, Belgium, Bermuda, Bulgaria, China, Congo, Cuba, France, French Guiana, French Polynesia, French Southern Territories, Greece, Greenland, Guadeloupe, Guam, Haiti, India, Iran, Iraq, Isle of Man, Israel, Italy, Martinique, Mayotte, Myanmar, New Caledonia, North Korea, Northern Mariana Islands, Pakistan, Portugal, Puerto Rico, Reunion Island, Romania, Rwanda, Samoa, Sierra Leone, Singapore, South Africa, St Barthelemy, St Martin, St Pierre & Miquelon, Sudan, Syrian Arab Republic, Turkey, United States, United States Minor Outlying Islands, Virgin Islands (US), Wallis and Futana Islands. Years of experience in the gambling world taught PartyCasino that good customer support can really make a difference. If you need help at PartyCasino, you can contact the room’s customer support 24 hours a day, 7 days a week and 365 days a year. You can reach the room’s customer support through the live chat option available on the casino's website as well as via email or phone. PartyCasino is home to some of the best online slots and runs an impressive number of very lucrative promotions. Also, this casino doesn’t use one of the 'usual' skins but runs on a platform developed in-house that is full of unique features. This, combined with the guaranteed trustworthiness offered by a solid company like the bwin.party Group is what makes partycasino a very good choice for all those players looking for safe and high quality casino games to enjoy. There are many deposit options on PartyCasino. You can choose the most convenient one for you. New depositors only. Bonus Expires in 30 days. Spins expire in 3 days. See terms for play-through requirements. Minimum deposit £10. 10x wagering on free spin winnings. UK players excluded.